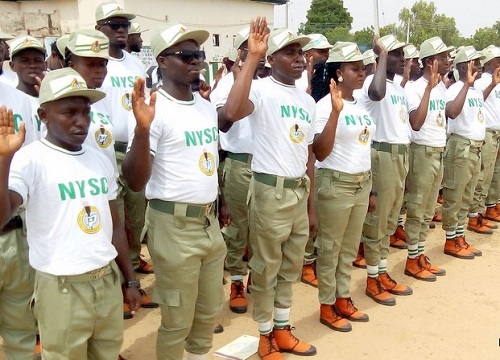 Some fresh graduates of Nigerian institution who were on their way to serve their fatherland in the NYSC scheme, have been abducted by some assailants. A total of atleast five members of the National Youth Service Corps (NYSC) who were travelling to their orientation camps in Akwa Ibom and Rivers states, were on Wednesday kidnapped by unknown gunmen, as other passengers on the bus conveying the corps members were also kidnapped. According to a report by PUNCH Metro, the fresh graduates and the other victims were travelling from Ibadan, the Oyo State capital, to Rivers and Akwa Ibom states where they were billed to undertake their three-week NYSC orientation. It was gathered that the victims were kidnapped on the Owerri-Port Harcourt Expressway and taken to the Umuapu forest in the Ohaji/Egbema Local Government Area of Imo State. While speaking with journalists after the victims were rescued by the police, the Commissioner of Police in charge of the Imo State Police Command, Dasuki Galadanchi, said the kidnappers established contact with the families of the corps members and demanded N5m ransom. The Police boss disclosed that the names of the corps members are; Abiola Temitope, Olubisi Adekanmi, Jose Temitayo, Folarin Opeyemi and Shonibare Ademola, while other victims were identified as Leonard Uzondu and Raymond Ojodahe. “This is part of the dividends of community policing. I urge Imo State residents to keep sharing information with the police. We cannot do it alone,” he said, adding that he had ordered investigation into the incident with a view to arresting the fleeing suspects. While speaking to a correspondent, one of the victims identified as Abiola, said, “They stopped our bus and ordered us at gunpoint to follow them into the forest. They were five with guns and machetes.